I’m finding that the site is a bit large for some folks. Fear not – there’s a solution. Ctrl + mouse wheel ——— Hold your ctrl key down, and then roll your mouse-wheel and you’ll see your browser resize. Handy for many sites. 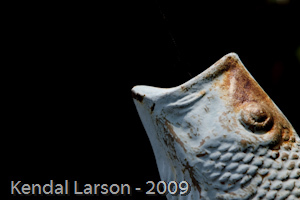 And no – the fish head doesn’t have a thing to do with this post – but I like it. This entry was posted on Wednesday, August 4th, 2010 at 1:29 pm. It is filed under General, Technical. You can follow any responses to this entry through the RSS 2.0 feed.